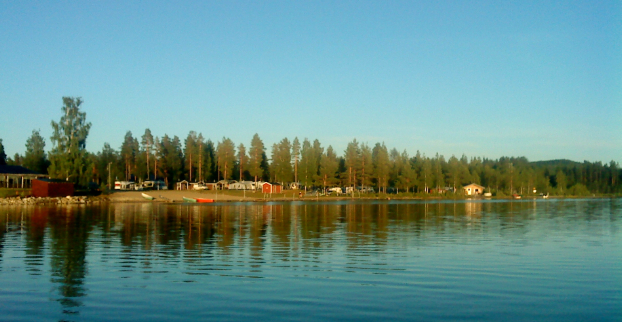 Angsjöns Camping is situated in beautiful natural surroundings, in an area which is easily accessible, in Sweden's smallest rural district, Bjurholm, on road 92, 75 km from Umeå. We have 60 pitches with electricity for caravans, 18 cottages in various sizes and with various equipment. The area is very child-friendly, with a shallow area for bathing, with a jetty and a diving tower. Playground, mini-golf, climbing wall etc are also available. Our restaurant is tastefully situated with its panoramic windows facing the water, where you can enjoy a good meal or something good to drink, and why not finish off the evening in our wood-fired sauna and water barrel. There are many activities on offer, both on the campsite and nearby.